Our new look reflects our renewed dedication to ensuring every child, from the very start, has the resources at home to build strong literacy skills. Stay tuned for more to come in the next chapter. 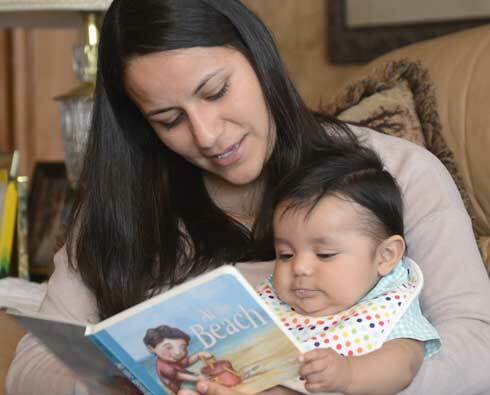 Ferst Readers cannot address all the issues of early literacy; but, we can eliminate a major reason why parents don't read to their child – the availability of books in the home. 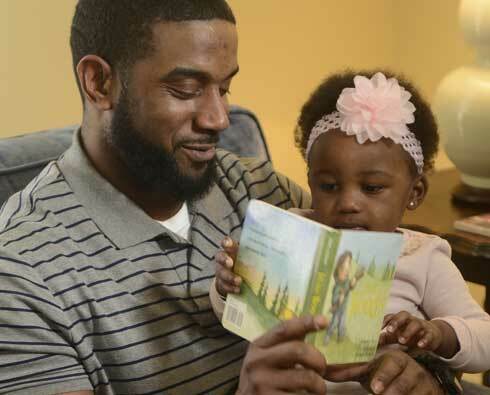 Adopt NowFerst Readers cannot address all the issues of early literacy; however, we can eliminate one of the major reasons why parents do not read to their child – the availability of quality books in the home. Some things can wait. Investing in our youngest children cannot. Parents! If your child participates in the Ferst Readers program we’d love your feedback! Imagine a young child receiving a book in the mail every month until the age of five. What better way to say reading is important? Children enrolled in the Ferst Program receive a new book every month in the mail until their 5th birthday. There is absolutely no cost (ever) to registered children in participating areas! The program is made possible through the partnership with local, all-volunteer Community Action Teams (CATs). Funding is provided through private donations, corporate sponsorships and grants. Contact us to help with a local Program or get a new one started in your area so that we may work together to bring the gift of literacy to every child 0-5 years old. Partnering together, we can help prepare every child for success in school and in life. Watch the full length video by clicking here. Thank you again for the work that you do."" - Chad and Jamie N.
"The Ferst Readers has given my daughter a head start in developing important skills that will last her a lifetime as well as ensuring our family enjoys quality time together! Every time a new book comes in the mail my daughter gets so excited. She is now 19 months old and has been receiving books through the Ferst Readers since she was born. She has quite the collection now, and I can honestly say that reading is her favorite pastime. She gets me to read her books to her then she’ll sit and flip through the pages and read them back to herself. I am one proud momma that my baby is so interested in reading and learning! Thank you Ferst Readers for giving my child such a valuable learning tool and starting her off with the building blocks to a brighter future!" "This program has been a God-send for us. With FERST books we get new stories delivered right to our home monthly. As parents it's our privilege to introduce our child to reading and this program helps SO much. I hope y’all understand how wonderful this program is to families who might not be able to afford new books monthly on their own. Thank you so much for helping me teach my babies about the joy of reading and the bond forged when we read together."